This video shows off the amazingly realistic behavior and motion of Dream Aquarium's virtual inhabitants. These are not real fish! They are 100% computer generated fish doing everything that real ones do - pecking at objects in the tank, eating food, pooping, chasing each other, swimming amongst the plants, hanging out in schools and enjoying life! 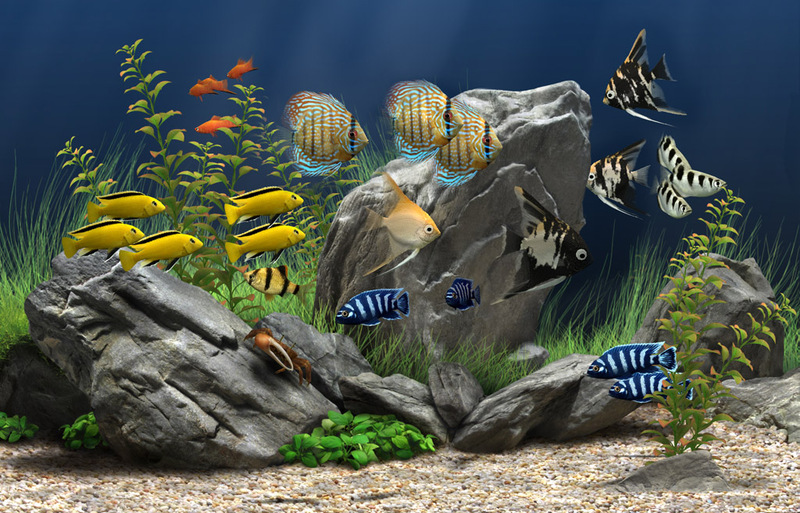 � The most realistic fish motion and behavior of any virtual aquarium. � A fiddler crab that cleans the bottom of the aquarium and chases fish. � Fish have articulated fins, moving eyes, gills and mouth. 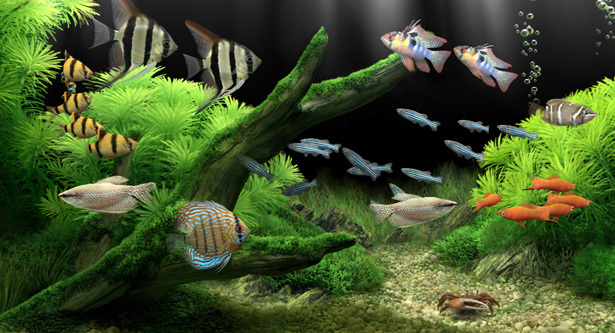 � Beautiful shifting light rays, ground ripples, gently waving plants that fish can swim into, soft shadows cast by fish, configurable bubble streams, auto or manual feeding. 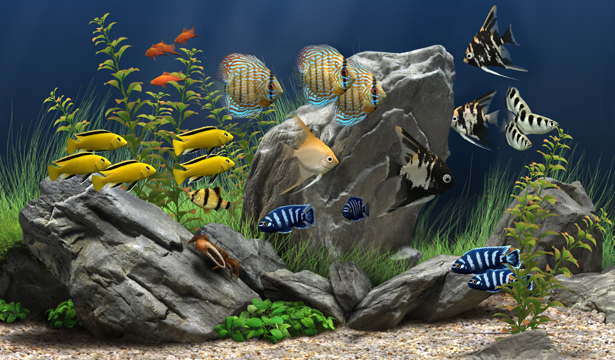 � Add well over a hundred fish (from 27 species), and change settings without having to exit the aquarium. 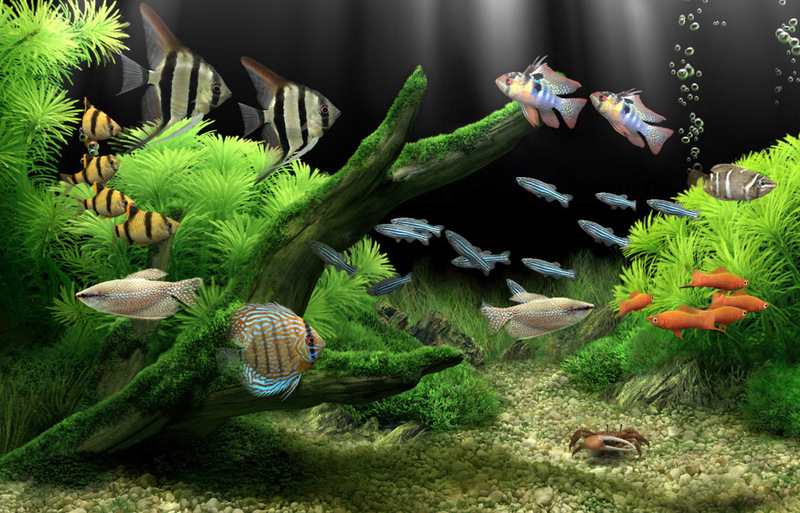 � Free demo aquarium screensaver contains NO adware or spyware. � Widescreen formatting, multi-monitor support & much more!